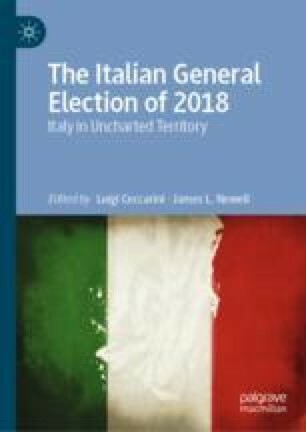 The outcome of the Italian General Election of 2018 was largely unexpected. None of the competitors secured majorities of seats in both chambers, but, most importantly, populist parties such as the Five-star Movement and the League increased their shares of the vote to a much greater extent than predicted by most polls, while the mainstream parties, mainly the Democratic Party and Forza Italia, suffered significant losses of votes. As a result, a brand new government consisting of the Five-star Movement and the League was formed. In this chapter, we give an account of what happened in the ballot, analysing the new electoral system; the results in terms of the votes won by coalitions and party lists; the social bases of the various party electorates, and finally the effects of the election outcome on the party system as a whole and on its continuous transformation.